Buzz Aldrin, the second man to ever walk on the moon, has claimed that if NASA is really serious about putting a foot on Mars, then the US space agency should ditch the (International Space Station (ISS) at the earliest. 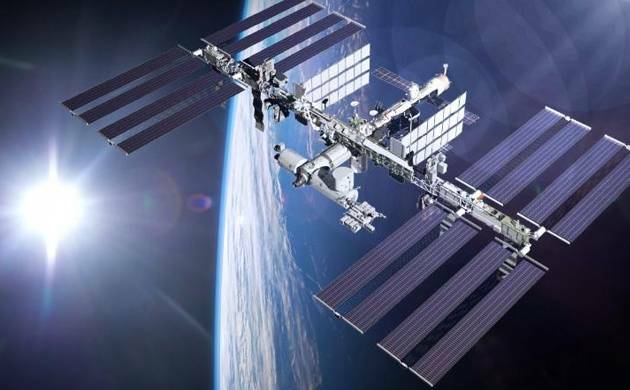 The former Apollo 11 moonwalker has said that the NASA and its partners must retire the ISS as soon as possible as the space station is costing whopping $3.5 billion a year which is not affordable. "We must retire the ISS as soon as possible. We simply cannot afford $3.5 billion a year of that cost," the former Apollo 11 moonwalker said. He expressed his views during a presentation at the 2017 Humans to Mars conference in Washington, D.C.
Aldrin said NASA should continue to involve private industry partners for activities in low Earth orbit (LEO). NASA has been encouraging this move as it continues to give contracts to companies such as SpaceX, Orbital ATK and Boeing to ferry cargo and crew to and from the ISS. He said that the other companies such as Bigelow Aerospace, Axiom Space should build and operate LEO space stations that are independent of the ISS. Aldrin said that ideally the first of these commercial outposts would share key orbital parameters with the station China plans to have operational in early 2020s to encourage cooperation with the Chinese. According to Aldrin’s plan for colonisation on Mars, establishment of private outposts in LEO will be just the first step. It heavily depends on on "cyclers", spacecraft that continuously moves between two cosmic destinations, efficiently delivering people and cargo back and forth. He said that in the second step, the international spaceflight community will come together to develop cyclers that ply cislunar space, taking people on trips to the moon and back. Such spacecraft and the activities they kick off would help in the construction of a crewed lunar base, where humans could learn and test the techniques that are required for Mars colonisation, such as how to manufacture propellant from local resources, Aldrin said. Earth-Mars cyclers would be the next, which Aldrin described as "an evolutionary development" of the prior cyclers. According to Adrin’s vision, these various cycler iterations enable a crewed mission to a near-Earth asteroid by 2020 and a Venus flyby by 2024. The first future Mars settlers could launch in the early 2030s if all goes well, he said. if Aldrin's vision comes to pass, they will be settlers, not just visitors. "Let's be certain that we've developed a sustainable plan to stay on Mars," he said. "No flags and footprints this time."